Bailo: "While the technology to electrify and automate vehicles will take decades to proliferate, automakers and suppliers must invest now to have a stake in the future of the transformed automotive industry." DETROIT -- Although most major automakers are pouring billions into electrification and autonomy, the Center for Automotive Research predicts those investments could slow in the coming years and that such vehicles will represent only a fraction of sales a decade from now. In a Wednesday presentation to automotive media, the Ann Arbor, Michigan-based research group said Level 4 and Level 5 self-driving vehicles will account for less than 4 percent of new-vehicle sales by 2030, although that number will increase steadily to roughly 55 percent by 2040. Separately, CAR said it believes alternative powertrains, including battery-electric and fuel cell vehicles, will comprise 8 percent of the market by 2030. Government emissions and fuel economy mandates are helping drive this push into future technologies, and CAR said self-driving tech and electrification will first impact fleets of shared vehicle services in dense urban areas. But an economic downturn, a slowing new-vehicle sales market or lack of public acceptance could significantly hinder their broader implementation in personal cars and trucks. 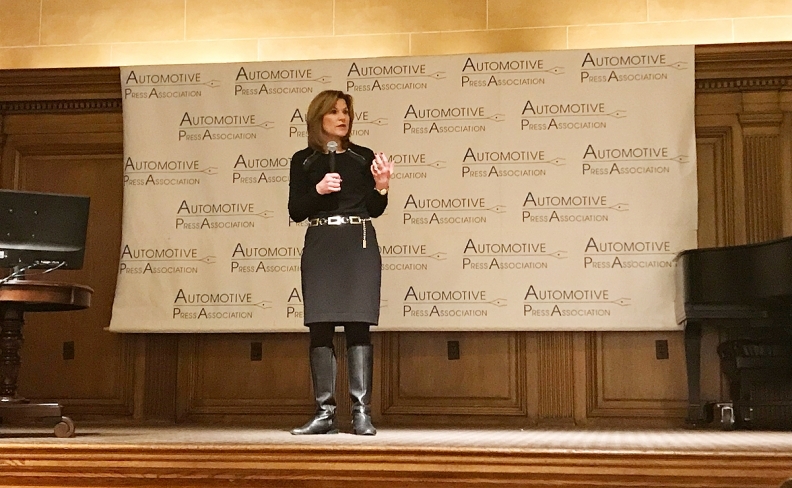 "While the technology to electrify and automate vehicles will take decades to proliferate, automakers and suppliers must invest now to have a stake in the future of the transformed automotive industry," Carla Bailo, CEO of CAR, said in the presentation. "Profits have been steady and investments have continued throughout the economic expansion. The challenge will come when sales begin to soften further and profitability lags. Will the auto industry continue to spend at the current pace through a downturn in the business cycle? If recent history is any guide, they will not -- at least not at the current speed and scale of investment." One of the biggest challenges automakers face may be customer perception and preference. CAR cited studies that found fewer Americans consider ride-hailing and car-sharing as alternatives to personal ownership (56 percent and 47 percent, respectively) than traditional public transit such as buses (58 percent) and subways (86 percent). Younger people are more open to autonomous technology. CAR cited a 2016 study that found 40 percent of respondents ages 25-34 are comfortable with full autonomy, while that number drops to 23.4 percent for those ages 45-54 and 18.9 percent for those ages 55-64. On the propulsion side, CAR says customer preference varies depending on region. In the United States, 18 percent of respondents to a recent survey said they preferred electrified powertrains over conventional gasoline engines. In China, however, that number was 56 percent. Add to that recent investments -- since 2009, automakers have announced investments in North America exceeding $9.2 billion for the production of advanced, efficient, ICE powertrain systems -- and CAR believes gasoline engines won't go away any time soon, especially in the U.S.
"BEV and fuel cell vehicles may gain broader market acceptance at some point in the future, but for the coming decade, the ICE powertrain will likely remain dominant in the U.S. market," Bailo said. Still, the research group argues that society will eventually realize the benefits of electrified and autonomous vehicles as fleets continue to deploy them in cities. Those technologies will spread to suburbs and, eventually, rural areas. The deployment of personally owned vehicles will take longer because of the costs associated with such technologies. "The automotive world is inching ever closer to an electrification tipping point, and the development and deployment of automation technologies are rapidly advancing," Bailo said. "Automakers and suppliers will develop these technologies for -- and in -- those markets and countries where consumers demand them, and where infrastructure, incentives and regulatory mandates are aligned."